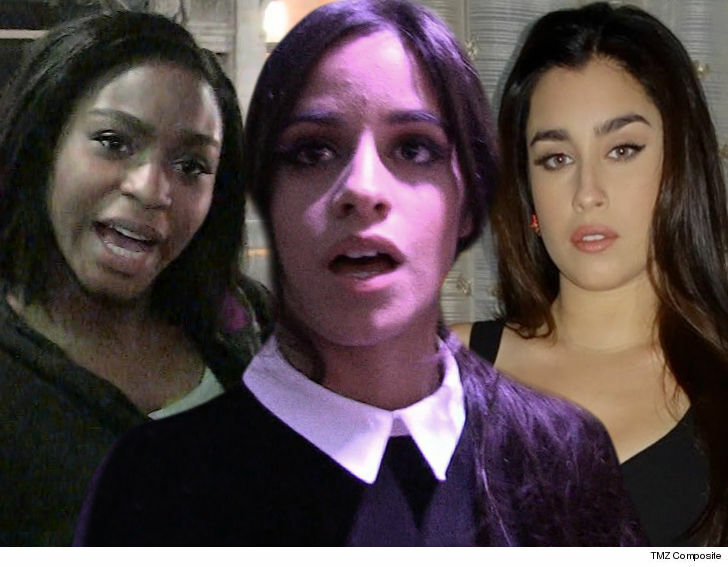 Camila Cabello‘s breakup with Fifth Harmony might be 2 years old, but it was fresh on the minds of the American Music Awards producers, who treated them like warring relatives at a wedding … TMZ has learned. Production sources tell us three members of Fifth Harmony (current and former) attended the AMAs Tuesday night — Camila, Lauren Jauregui and Normani. You didn’t see them anywhere near each other though, and that was no accident. We’re told Camila was placed in the front row next to Taylor Swift, and the other 2 women were in totally different sections of the Microsoft Theater … ’cause they weren’t even within shouting distance of each other. Camila obviously had the best seat as she was nominated for multiple awards. Our sources say there’s been some leftover bad blood between these three in particular in the wake of Camila leaving the group in late 2016. There were conflicting accounts on how exactly her exit was handled — Camila says she gave plenty notice, but 5H says she ghosted. We’re sure Camila’s feud with her ex-groupmates was the last thing on her mind — she ended up walking away with 4 wins total … New Artist of the Year, Collaboration of the Year, Video of the Year, and Favorite Pop/Rock Song. Dave East On How He's Coping With Yankees Loss, Get The Weed!